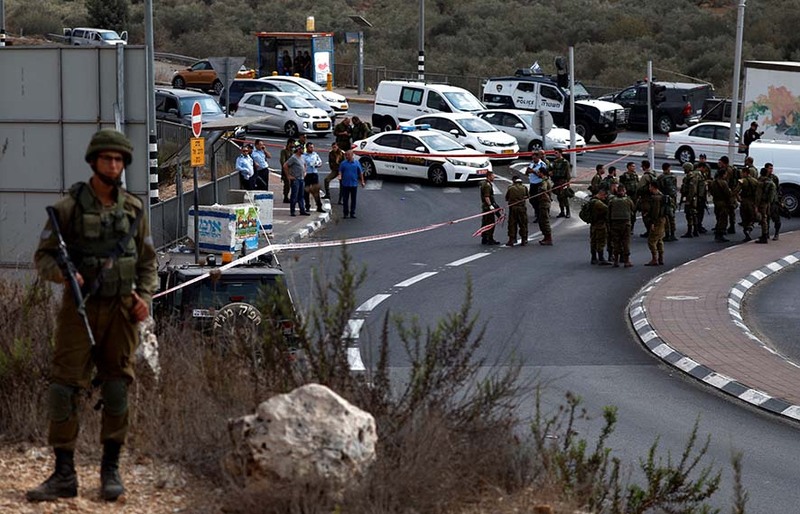 A Palestinian man was shot dead by Israeli forces Monday during an attempted stabbing attack at the Gitai Avishar junction, west of Ariel, the IDF said. B’chasdei Shamayim, no Israelis were injured in the incident and the IDF said it has opened an investigation. The Palestinian attempted to stab an IDF soldier at the junction. The incident took place near the Barkan Industrial Park, where last Sunday a Palestinian shot and killed Kim Levengrond-Yechezkel, Hy”d, and Ziv Hajbi, Hy”d. The Shin Bet later said that the Palestinian terrorist who was shot dead was from Bidia village and had no record of security offences. On Friday, a Palestinian woman from Bidia was killed by a stone attack on her car that her husband blamed on Jews.